Shobhit Sharma is a self-taught artist who started drawing and painting very early in life. For the last three years he has been earning a living by making tattoos but now he wants to bring his focus towards creating more paintings, build a proper space to create and he also wants to share all that he has learned through social media. Pallavi is a Nithyananda Yoga teacher. She had a cruelty free organic baking and food business earlier between 2013-2017. She has been teaching Yoga and meditation in Delhi and Noida for the last three years. She is also working on a cookbook of satvik recipes from the 60,000 year old cookbook by Mahadeva, Bhagashastra. She wants to introduce Kundalini Rajju, the ancient form of rope yoga and Shivastambha, the ancient form of pole yoga to people, along with Vinyasa Yoga. 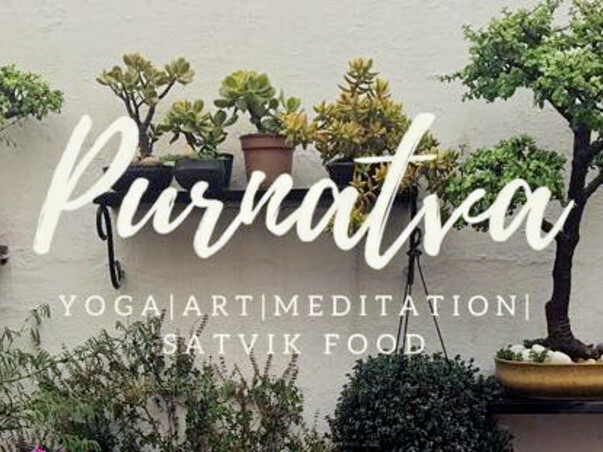 Together they want to create a community where people gather to raise consciousness by practising Yoga, creating art and reviving Vedic art forms, making and enjoying satvik food and living a conscious lifestyle. They would like your support to make this centre happen and be a part of this creation. Everybody is welcome to be a part of the classes and workshops, enjoy a meal, or be a part of this revival. 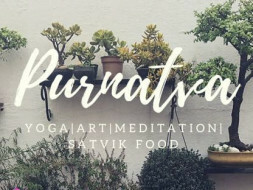 Purnatva studio will have Vinyasa yoga and meditation workshops, rope and pole yoga classes, a organic satvik kitchen, a tattoo studio, art gallery and workshop to create artworks and revive Vedic artforms.